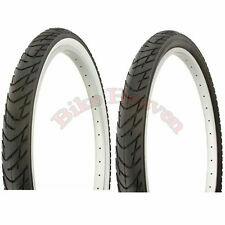 BICYCLE TIRE 20" x 1.75 VENDETTA LOWRIDER BMX MTB TRIKE CYCLING BIKE ALL COLORS! The new era in cycling - the best allrounder in the field, brought to a whole new performance level. Ride faster, more comfortable and with increased puncture protection. Made to make you better. Active Comfort Technology. The newest tire from Duro. The SOUL FAST performance tire. 35% lighter then the 3" beach bum tires providing less rolling resistance for an easier ride. 26" x 3.0" SOUL FAST tires boast clean lines and distinctive racing profile. Size 26x4.0. Larger side knobs produce better grip and traction when riding thru gravel dirt and snow. Type Fat Bike. Tread/Sidewall Color Bk/Blk. Weight (Grams) 1440. Item Model Aggressor DC/EXO/TR. Enduro friendly wet / loose condition tire with aggressive center tread and large corner lugs. EXO equipped models feature Maxxis` EXO sidewall protection which help prevent puncture from sidewall abrasions. Mavic Cosmic Elite Wheels. Include Front and rear wheelset, QR only. Wen will solve it for you. We will try our best to reduce the risk of the custom duties. Weight: approx. 1770g (not include QR). 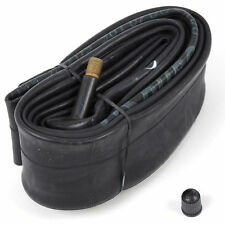 TWO ( 2 ) TUFO S 33 Pro TUBULAR Tires. TIP: Never patch an ebike tube. Patching an ebike tube is not recommended because of the higher rpms of ebikes and an ebike has to support much more weight compared to a standard bicycle. New ListingMichelin Wild Race'r, Tubeless-Ready, 27.5"x 2.10"
New ListingGEAX Gato TNT Cross Country MTB Tire, 26"x1.9"
WTB STP i25 27.5" Wheelset. 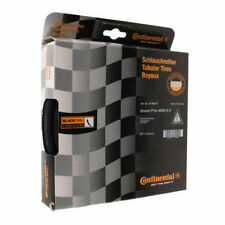 Tubeless compatible wheelset,NOT include any tubeless kit. 4 in 1 hubs: Front: Quick release, 15mm x 100mm or 20mm x 110mm; Rear: Quick release or 12mm x 142mm. Set include Front & Rear wheels, Tyres, Tubes, Hubs, Hubs Adaptors and Quick release ( Cassette Spacer Included ). The Kevlar belt and silkworm cap ply combine to provide a tyre that Re-Fuses to puncture. Folding Tyre. Training tyre. Rim is NOT included. Kevlar belt and silkworm cap for maximum puncture resistance. Corsa G 2.0 TLR Tubeless. sale is for 2 tires. Slick Smooth Tough Husky Wide Fat 20x2.30 BMX. Tires Tubes Set. 2- Tires 20x2.30. 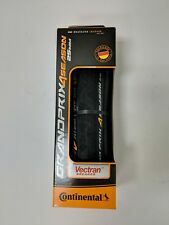 Fits Most 20"x2.2.25 - 2.50 bikes. 2-Tubes 20x2.30, 2.40, 2.50. Mavic Crossmax Pro 27.5" 650b Mountain Bike Wheelset Shimano/SRAM BOOST SPACING. With an internal width of 22mm and our patented ISM 4D technology, the rim provides a lightweight and dynamic ride quality. Tires should be dry mounted on a clean rim and thoroughly checked before gluing. This type of inspection should routinely be done on any tubular tire during the stretching process. good traction & puncture resistance with 305 tpi under the tread. Bontrager / Weinmann BCX wheelset with Deore LX rear hub & System 2 front hub. 8 speed hyperglide. 8 speed 11-28 cassette and skewers included. View pics for an accurate representation. Iron Cap Belt for Puncture Protection. Ten new genuine Kenda Presta Removable Bicycle Valve Cores. Compatibility: Kenda bicycle presta valve cores are interchangeable with. Quantity: Ten (10) Presta Valve Cores. most removable bicycle presta valve cores. Panaracer NTKK Snakebelly tyres are a remake of the 80's era Snakebellys and are now available in a more modern Kevlar beaded foldable construction as well as wire beaded. Weighing just 370 Grams and fully Made In Japan. MODEL GravelKing SK. 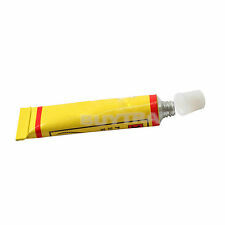 TYPE Tubeless. BEAD MATERIAL Fold. WHEEL SIZE 700c. COLOR Military Green. SIDEWALL Brown. YOU GET TWO TIRES! WIDTH 38 mm.